Keep a radio-cassette player at your office and listen to soft, soothing music throughout the day. Place pleasant scents and inspirational pictures in your workplace. KERPI Ltd was found in 1997 the in town of Pavlikeni located in the central part of Northern Bulgaria. The annual production volume is more than 20 000 MT of sunflower seeds and the production is divided into two sections – 1) Cleaning, calibration and hulling of sunflower seeds and 2) Dry roasting and packaging of nuts, sunflower and pumpkin seeds and kernels. The production is carried out with modern equipment from leading manufacturers of equipment for the food industry. Following the latest trends, all products are packed in a protected environment, allowing the taste, odour and colour of the product can be stored for a longer period of time. 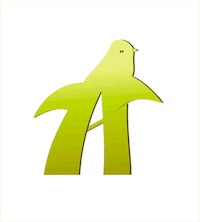 AVES-9 Ltd was established in 2009 as a subsidiary export company of PARUS Ltd. We are in direct contact with the farmers from several regions in the central part of Southern Bulgaria. The production facilities of the company are located very close to TRAKIA highway which is very convenient both for sending of truckloads to Western Europe and of container loads to the most remote parts of the world through the Black Sea ports. The main activity is the export of winter food for birds (sunflower seeds, seed mixes, sorghum, millet, etc.). BRAMA Ltd is a privately held company, that operates in the area of sunflower seed processing. Based in central Bulgaria, the factory is equipped with modern machinery covering all stages for producing refined sunflower oil and sunflower kernels. Since its establishment in 1993, BRAMA Ltd has continuously pursued growth and improvement of its production facilities to reach annual processing capacity of more than 30 000 MT sunflower seeds. AGROS Ltd is a leading company that is well-established in the national market, with international operation for sale of plant protection products, seeds and fertilisers for the agricultural producers and trade in agricultural produce. Governed by the understanding that the agriculture is one of the priorities in today’s economy, AGROS Ltd offers its customers the latest plant protection products based on state-of-the-art scientific technologies. SGS is the world’s leading inspection, verification, testing and certification company. We are recognised as the global benchmark for quality and integrity. With more than 95,000 employees, the company operates a network of more than 2,400 offices and laboratories around the world.